Does not fit all SAM Series Inverters. Please see models below. 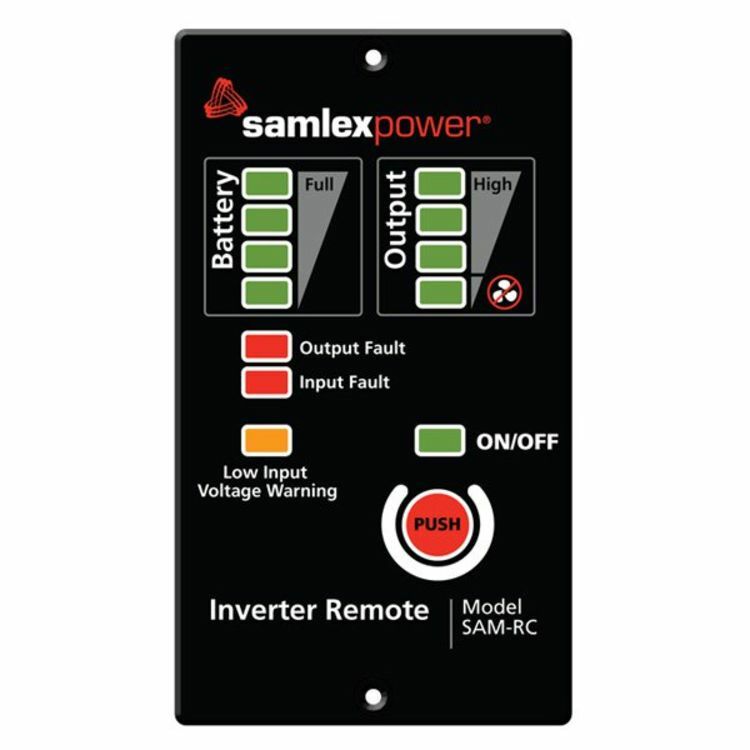 SAM-RC remote inverter activation switch allows for easy access to hard to reach inverters! Works with select Samlex SAM Series Inverters (Models are listed below). Allows for simple hookup with one phone jack type connector, there is no cutting and splicing necessary! Do you own the SAM-RC? Please, tell us what you think about it. It helps us provide you with better products. Please note that it may take up to 72 hours for your review to appear.